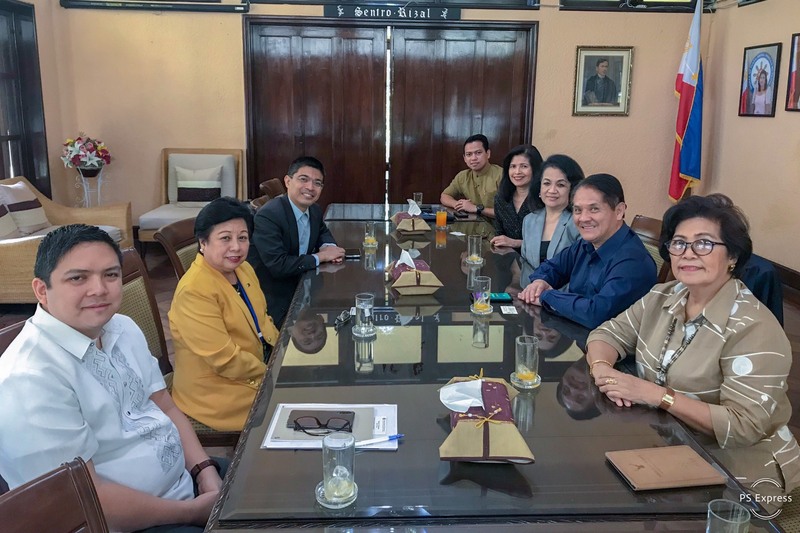 The Bangkok Secretariat of Ateneo Leadership and Social Entrepreneurship made a courtesy call on Her Excellency Ambassador Mary Jo Bernardo-Aragon on Wednesday morning, February 13. 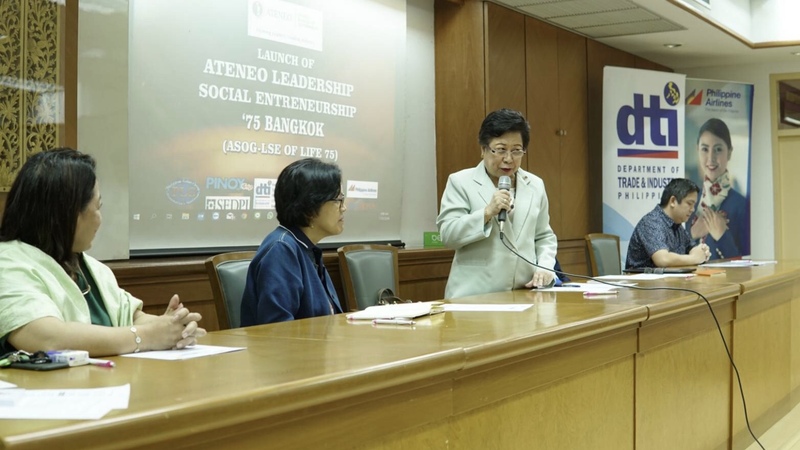 The Ateneo Leadership and Social Entrepreneurship (Ateneo LSE) is a 12-day empowerment program targeting overseas Filipino workers (OFWs) in the areas of leadership, financial literacy and social entrepreneurship. It is now on its 10th year as an executive education program of the Ateneo De Manila University School of Government (ASoG). Bangkok serves as the venue of the 75th batch of ALSE program. 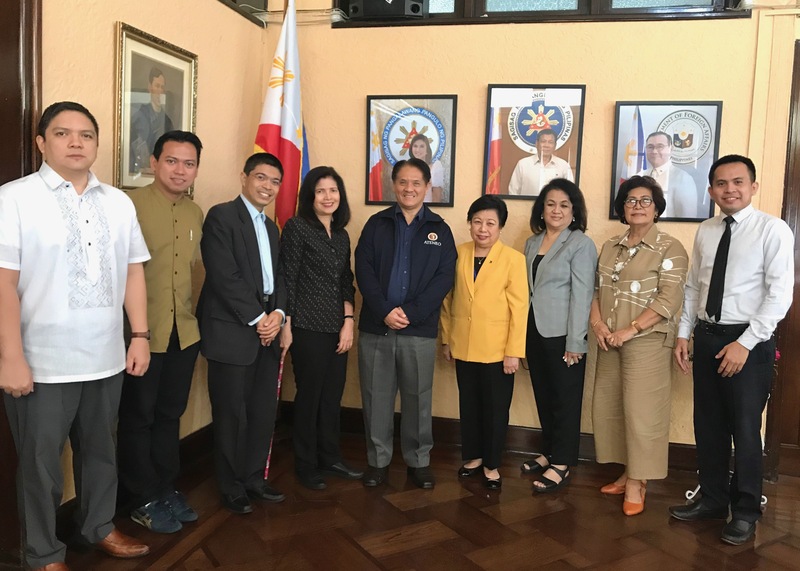 Ateneo Professor Edgar Valenzuela along with the Secretariat led by businesswoman Zennaida Vannaying, Monalisa Falsis Sangvoranit, Maria Divina Blanco Nidhiprabha, Jaycee Dilan and Jezreel Llanera were welcomed by Ambassador Aragon and Consul General Val Roque. 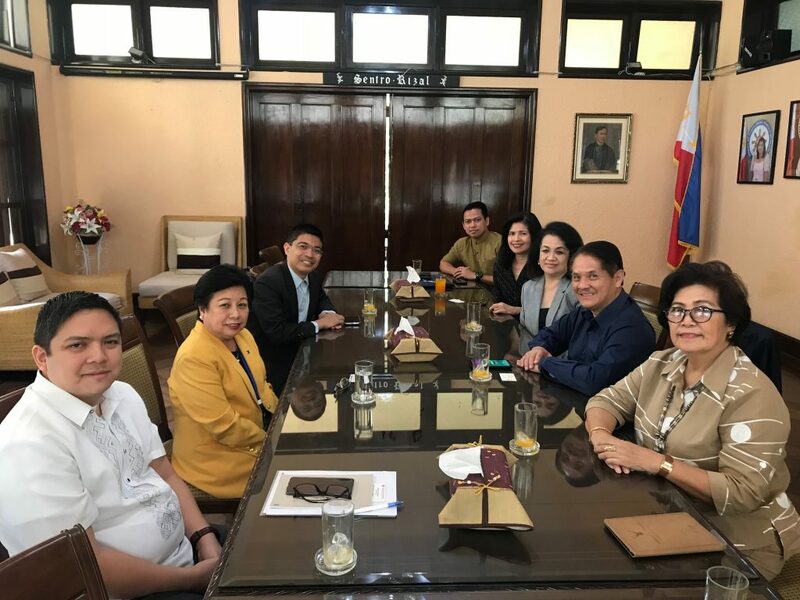 The meeting was arranged by Commercial Attache Rico Mariano who is part of the Secretariat together with his wife Ruzette. Prof Valenzuela presented ALSE to the Embassy officials and explained how all the Ambassadors in other countries have been very supportive of this program. Aside from Thailand, other Asian countries which are conducting ALSE program include Hong Kong, Macau, Singapore and Japan. 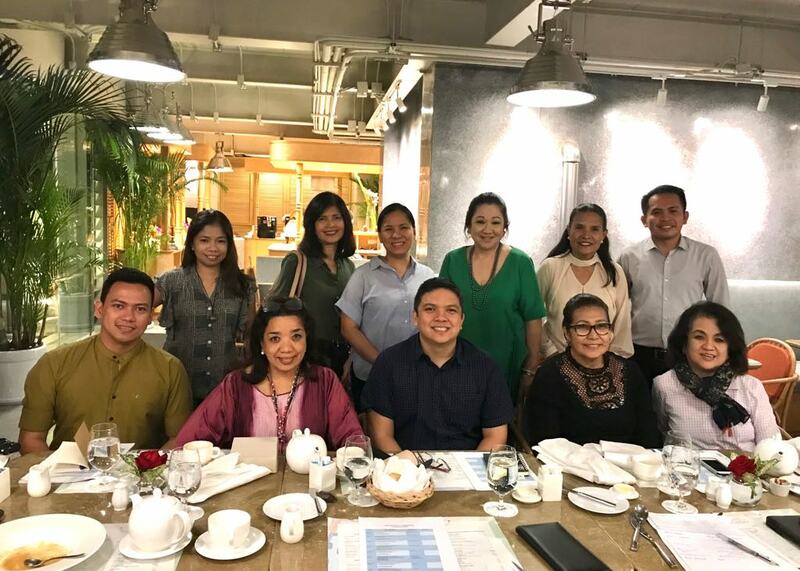 A pool of high-powered professors from Ateneo and its partnered organizations are flying to Bangkok twice a month to lecture. Most of them are doctor’s degree holders and are considered experts in their fields. Being part of Ateneo’s mission to help the overseas Filipino workers, ALSE is Ateneo’s cheapest program in the entire university. Ateneo is also subsidising the program by providing some airfares to the professors. All professors, lecturers and even the Bangkok Secretariat are rendering their services for free. 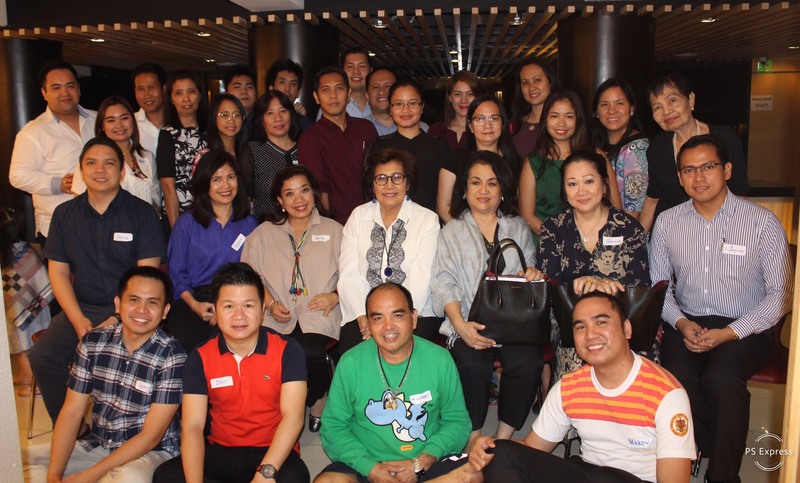 Philippine Ladies Group Foundation, Philippine Trade and Investment Center in Bangkok under DTI, PinoyThaiyo and other Filipino Community leaders comprise the Secretariat. Some of the graduates have already started doing their business in the Philippines and other countries. According to Valenzuela, an OFW in Hong Kong went back to his hometown after graduation and started a sugarcane production which has turned out to be very profitable. Other graduates have also invested in food, agri and other businesses. Ambassador Aragon said she will be attending the ALSE launching on March 17 in Bangkok. Venue of the first batch is still being arranged. Registration is still open to those who are interested to join the program. Graduates will receive an Ateneo certificate and will be accepted by the university as alumni.